The Museum at the Fashion Institute of Technology (MFIT) presents Elegance in an Age of Crisis: Fashions of the 1930s, an exhibition that celebrates the most innovative and beautifully designed clothing made in the 20th century. 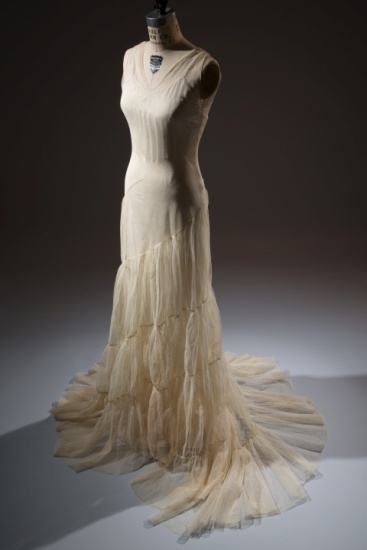 This is the first exhibition to concurrently examine both men’s and women’s fashion of the 1930s, specifically objects made by the era’s finest dressmakers and men’s clothiers. 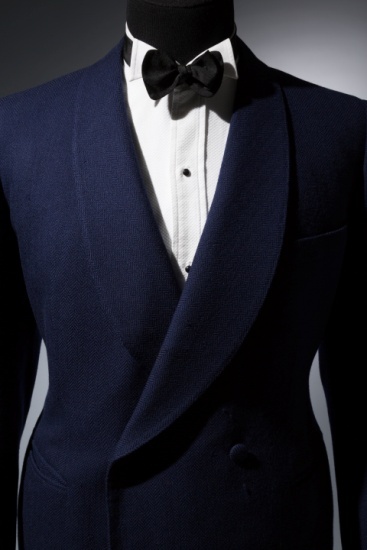 The exhibition also showcases an array of haute couture and bespoke tailored pieces featuring approximately 80 ensembles and 30 accessories that are arranged thematically in an exhibition environment designed to evoke the restrained style of the era. Elegance in an Age of Crisis investigates how clothing creators of the 1930s, despite the crippling financial crisis and dire political environment, spearheaded new stylistic ideas and wed them to emerging technologies. Technical innovations in textile production transformed what was possible for couturiers: looms were wider, dyeing vats were larger, and fibers were more tightly twisted. These expansive and flexible new materials gave dressmakers larger “canvases” upon which to rethink and refine draping techniques, while featherweight textiles lent their garments new suppleness and flexibility. The exhibition also includes a number of accessories from the 1930s. Hats, handbags, and shoes were fashion essentials in an era of economic crisis, allowing women to parlay a dress—or men a suit—into multiple uses and settings. A highlight of the exhibition is an array of shoes worn by the legendary dancer and movie star Fred Astaire.